Finish off your casual, comfortable look with easy Levi's® Shorts. 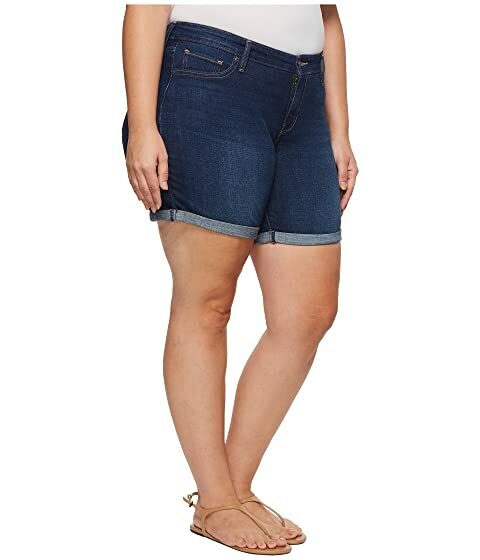 Mid-rise shorts feature a classic, mid-thigh length to the rolled cuffs. Specially designed inner panel creates a tummy-slimming effect. Meteor Cliff: 79% cotton, 19% polyester, 2% elastane. Product measurements were taken using size 16W, inseam 7. Please note that measurements may vary by size.